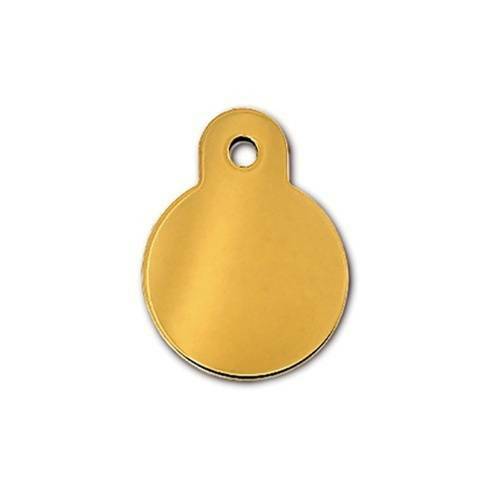 Keep track of your pet and protect him from getting lost with these ID tags. Available in Chrome and Gold with FREE ENGRAVING! 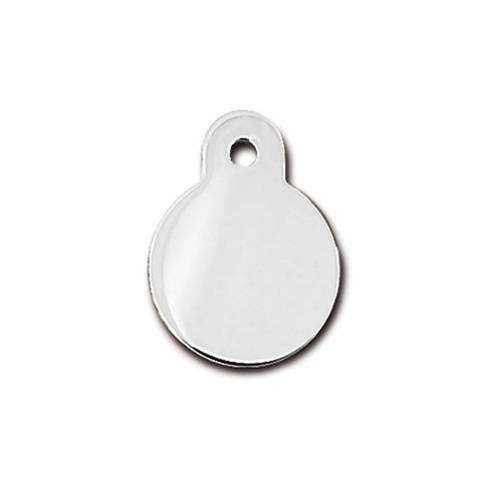 Keep track of your pet and protect him from getting lost with these ID tags with FREE ENGRAVING. 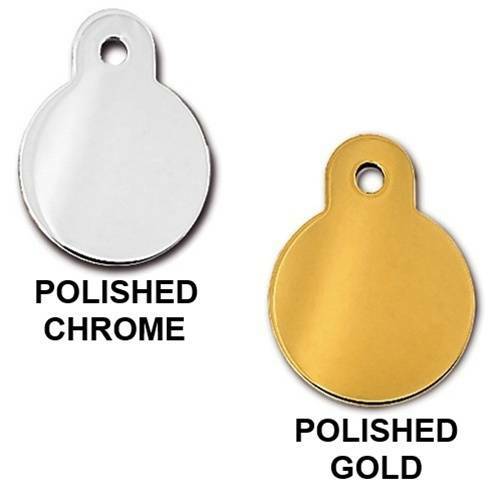 Each tag is made of a heavy brass metal that is plated with your choice of gold or chrome for durability and hand polished for a smooth, shiny finish. Tag measures 7/8" x 1-1/8", and a split ring connector is included with each purchase. If frequent, easy collar changes are desired, consider the lobster claw styled connectors (sold separately), and to reduce noise from the tag, silencers are also offered (sold separately). Silencers also help prevent wear from other tags and charms worn at the same time. These products are also available in the accessories section below. If you are concerned about font size, consider abbreviating as much as possible (ST instead of STREET, N instead of NORTH, etc), leaving off punctuation marks unless absolutely necessary, and limiting engraving to only the basic, vital info needed to get your lost pet back. We are happy to engrave long texts, but simply want you to make an informed decision that it will cause a small font size. Tag may be engraved up to 14 characters per line and up to 4 lines may be used, and both sides can be engraved if desired. You do not have to use all 4 lines per side, and you may purchase a blank tag.